Early on, some investors prefer a more aggressive mix of stocks — and the potential growth that comes with it. As children approach college age, these same investors often shift their priorities from growing college savings to preserving it. 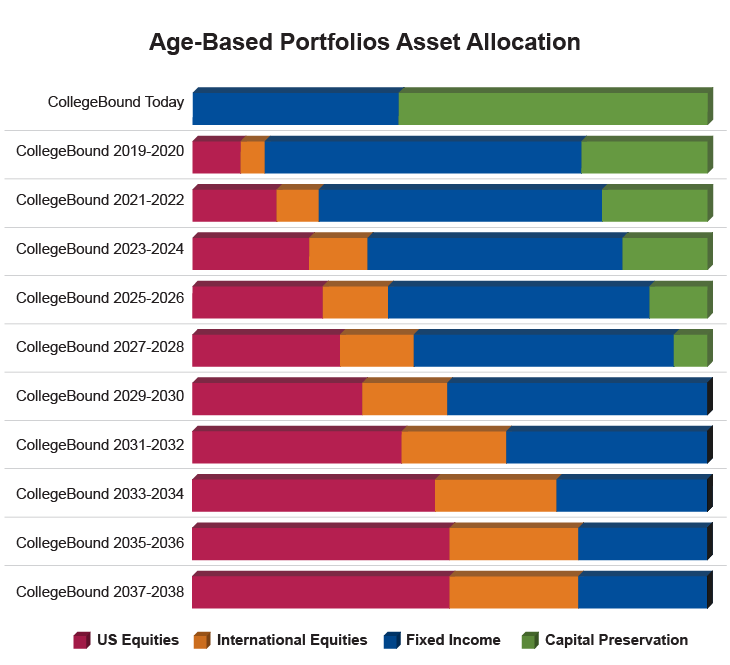 As the chart below shows, CollegeBound Saver manages the portfolio allocation among US equities, international equities, fixed income and capital preservation options to gradually become more conservative as the expected date of college enrollment nears. For more information on each Age-Based Portfolio, visit each portfolio's details page found on the Portfolio Price and Performance page.